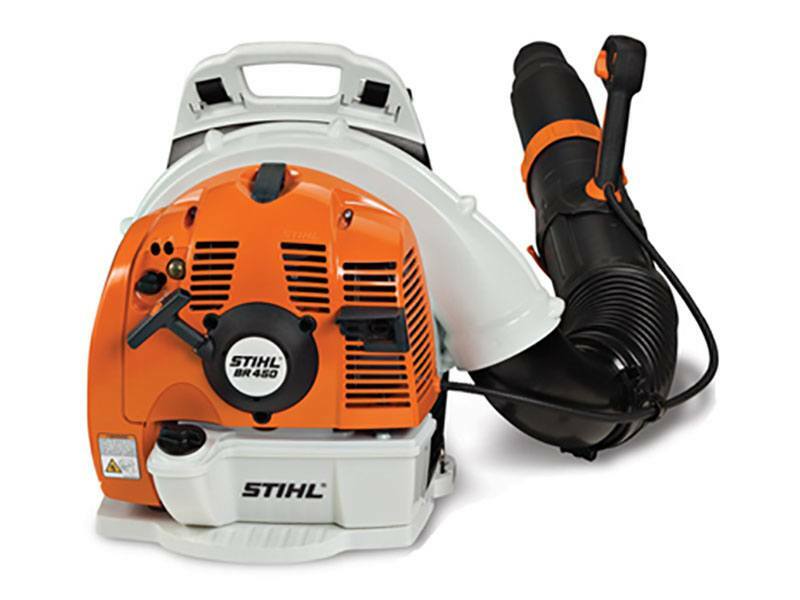 Simplify your workday with this easy-to-use and affordable professional backpack blower. Equipped with a powerful 2-stroke engine, the STIHL BR 450 has all the power you need in a convenient package. Use it for a range of applications, from managing large properties and tree-heavy lots to seasonal leaf cleanup. The low-emission engine boasts high-quality power, with a blowing force approaching that of our BR 600 model. Designed with the operator in mind, the unit features an easily adjustable tube that can adapt to different operator heights and application needs. And the control handle can also be adjusted for ideal comfort without tools. Additional features include a semi-automatic choke for a simplified starting procedure as well as improved ergonomic design elements for increased user comfort. Whether maintaining residential or commercial property, the BR 450 is up to your landscaping demands.